You already know you need visitors from internet marketing but if you aren’t converting web visitors into sales leads then you have a problem. The design of your website plays a critical role in turning hard-earned visitors into more business for you. I’ll show you the importance of web design for more conversions. Search Engine Optimisation that helps your rank higher in Google for keywords your potential customers use. Google AdWords and other pay-per-click services get you traffic quickly but you may seriously over-spend without professional help. Social media marketing helps build your brand recognition and trust online. Social media also ties in nicely with an SEO campaign. I can provide you with a website that is optimised for mobile devices, optimised for more business and optimised for your target clients / customers. You’ll also be able to update your site whenever you like. When you choose me to create a new website for your business you get a solution that includes 3 vital features many other companies don’t include. My job is to provide a web site for you that will empower you and your business online. I want to introduce you to ideas that might inspire you to take more control of your internet presence and actually move your business forward. I do this by giving you a web site that is prepared for mobile devices, has built-in internet marketing features and the ability for you to make your own edits via a content management system (CMS). Responsive web design (not to be confused with adaptive web design) involves developing a website that is fluid in its layout. This means any page of your website will display well on any sized device be it phone, tablet, laptop or monitor. Your potential customers of yours are using phones and tablets more and more and so your site needs to cater to them. If you don’t have a website fit for mobile then you may be cutting your potential business by 61%! So the design of your site is very much dictated by what you need your site to do. If your company gets more business from phone enquiries than email enquiries for example then I’ll design the site to encourage people to call you. The first step in the design process is to understand the primary purpose, or function, of your site and the appearance, or form, will be based on this. I believe every business should have the power to update their own web site. If I develop your site you will get that power. With a content managements system (CMS) such as WordPress, Magento or Joomla, you can take control of your web pages. 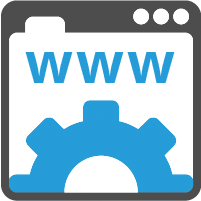 You can update your own web site without paying someone to update it for you – it’s easier than you might think! Unfortunately it seems from speaking to customers, that it is common for other web development companies to over-charge when it comes to making updates on their client’s behalf. Although I can certainly add pages/content/etc. for you* I’m all for giving you the freedom to manage as much of your site yourself as you need. *This is charged at my standard hourly rate and is very reasonable.